Is There Uber in Cabo? Is There Uber or Lyft in Cabo? Uber en Los Cabos Airport? No! Yes there is Uber in Los Cabos. But you need to understand and make a decision based on the current the situation. As in many countries when Uber is introduced the local taxis and transportation administration has conflicts. AS of March 2019 there is conflict right now with Uber in Cabo. There are accusations of local taxis and Uber drivers fighting and causing traffic accidents. There is also accusations that top level administration in Baja California SUR Government is involved in gaining revenue from taxis and licensing. 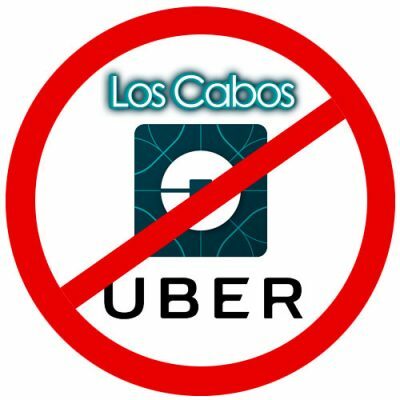 Currently there is Uber in Cabo however they cannot pick you up at the Los Cabos Airport orCabo San Lucas Airport. Currently if you get a Uber in Los Cabos to drive to the AirPort they can only drop you off and this is still questionable. Our recommendation is for your safety and security it is not advisable to use Uber in Cabo currently. There is no Lyft Cabo San Lucas. This has become difficult for many travelers that like the aspect of using a Lyft ride or Uber in Cabo San Lucas. We do though offer luxury private airport transportation from Cabo Airport, SJD airport and Cabo San Lucas airport to any resort in Los Cabos, Mexico. All private car service in Cabo is provided in a new comfortable vehicle, driven by a professional licensed and insured bilingual driver. The Uber alternative is Andale, an Uber knock-off that never took off in Los Cabos. Uber was launched last year to little fanfare ion Los Cabos. The local taxi unions and other transportation companies fought Uber very hard like in other city roll-outs. Many drivers were met with anger and mobs and forced to cease operations. 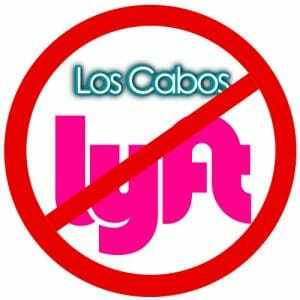 Still to this day both Uber and Lyft are not operating successfully in Cabo San Lucas. Private Car Service in Cabo is the best alternative to Uber. Because there is no Uber en Los Cabos, private car service in Cabo is your next best option for airport and local transportation services in Los Cabos. SJDtaxi will provide you with a new luxury vehicle, cold beers and cold water with a professional, licensed driver. Our car service in Cabo is not shared transport or shuttle transfers. Our airport car service is similar to black car service in the United States. Our drivers will handle everything you need with luggage that includes loading and unloading. The entire vehicle os for your party only. When arriving at Cabo Airport our representative will be waiting for outside the exit across the taxi pick-up under #4 or #5 awning. They will have your name on a sign and will assist you with all luggage. You’ll be escorted you to your air-conditioned vehicle where we’ll have cold water and beer waiting. When it is time to return home from your resort or hotel we’ll pick you up and bring you back to Cabo airport. Remember there is no Uber en Los Cabos. *all images are copyright of their respective owners. SJD Taxi provides luxury, private transportation and airport shuttle services covering all of Baja California SUR. This includes round-trip transfers to and from SJD Los Cabos International Airport. View Company Policies & Terms of Service. We proudly recommend Cabo Sandcastles for all custom sand sculptures in Los Cabos. Copyright 2019 SJD Taxi | Cabo San Lucas Airport Transportation Services. *Reservations are required in advance per State of Baja California SUR, MX transit law, we require to have all transportation services information set and reserved 48 hours before your arrival.